Raise your horn high and drink to good times. This monogrammed glass viking drinking horn is a vessel worthy enough to hold your brew custom engraved with a single initial. 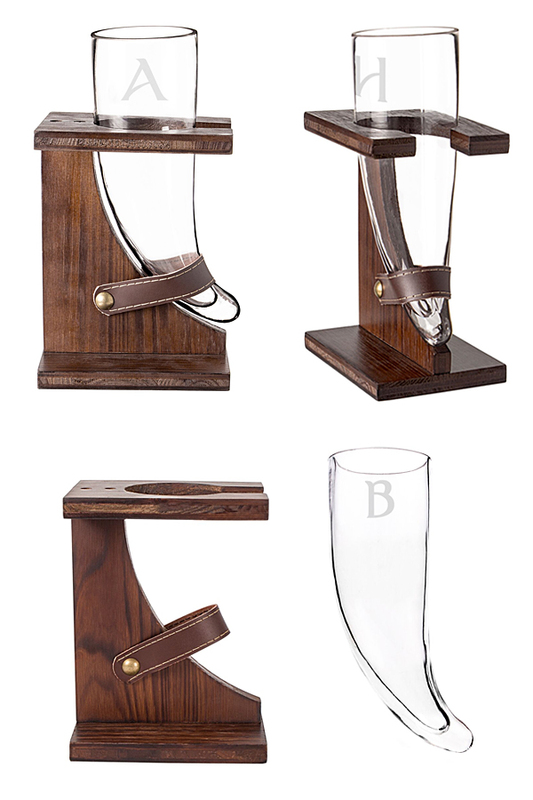 Holding up to 16 ounces of your favorite beer, each drinking horn comes complete with matching rustic wood stand with leather strap. 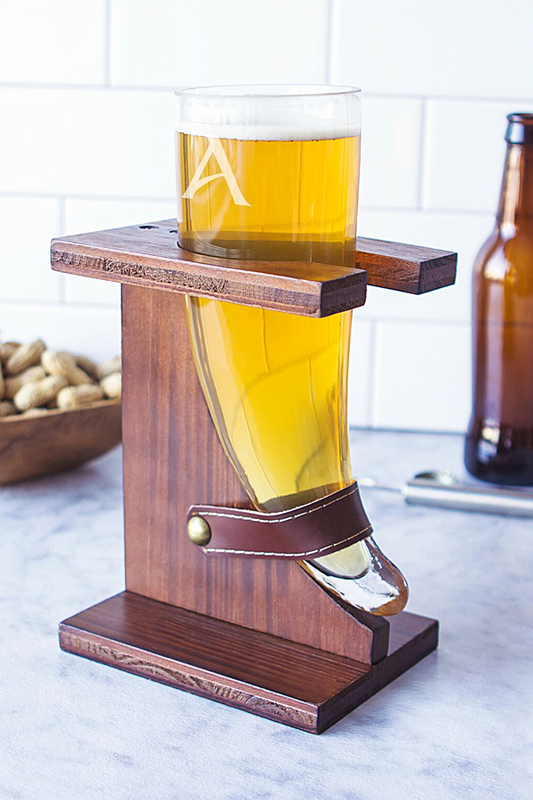 This Nordic horn is an unique gift idea perfect for beer lovers who seek adventure and glory. 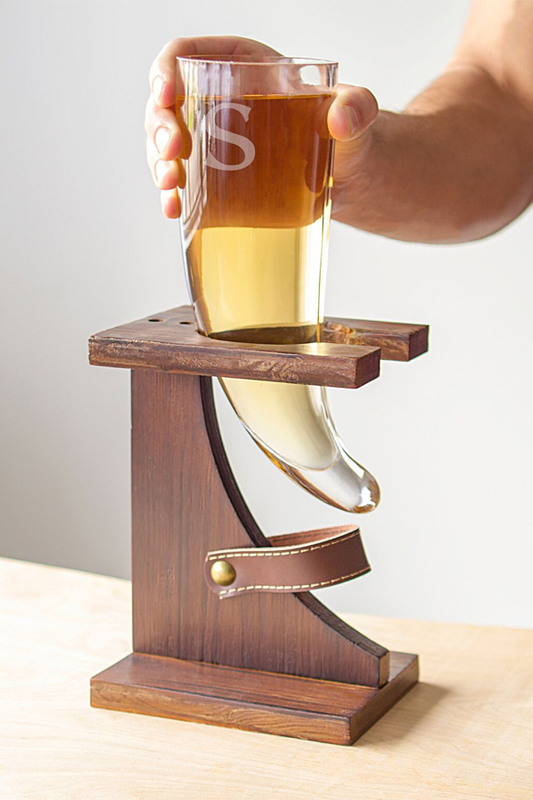 Features a classic Viking horn shape, nested in a wooden stand crafted just for its shape. A decorative leather strap ensures the horn stays in place. 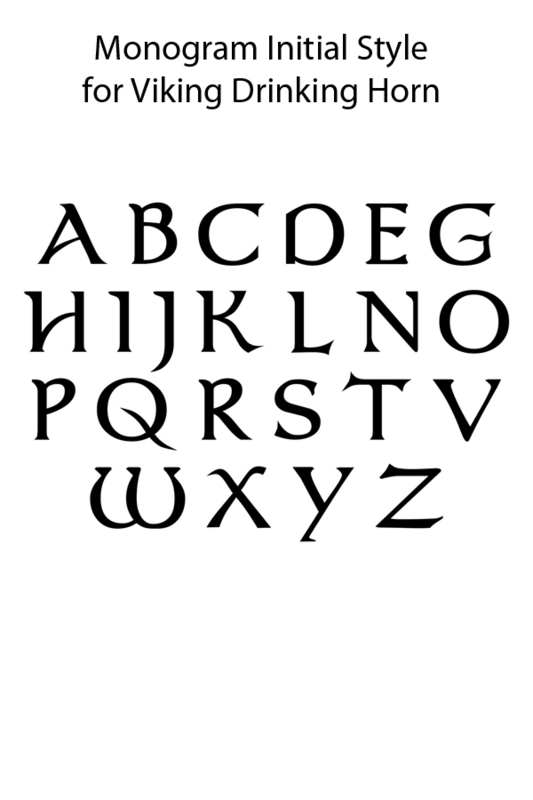 Have a single monogram initial engraved in the lettering style shown at no additional charge. ** Minor bubbles and swirls are inherent to hand-blown glass. Variations may occur due to the hand-crafted nature of this item, including knots, notches and swirls in the wood grain, which are inherent to the material. The rustic finish is intended to enhance the warmth and character of these physical traits and contribute to their one-of-a-kind beauty. It is amazing. Absolutely love it.